“Richard Langridge has for 12 years been an exceptional Councillor for our North Witney Ward. 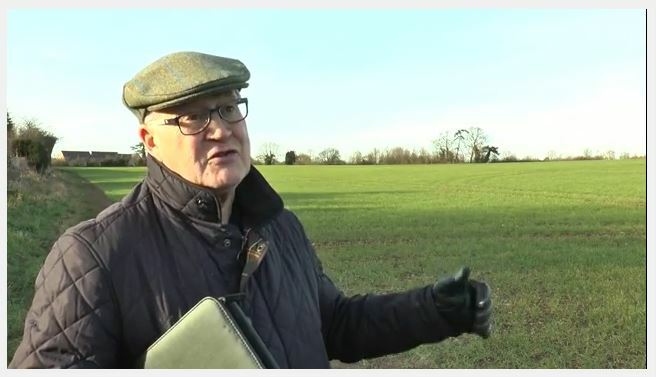 His integrity to stand up for what is right for the people he represents is demonstrated by him consistently opposing the deeply flawed inclusion of the North Witney development in WODC’s Local Plan. His principled and fearless stand on behalf of the residents of North Witney has resulted in him having to stand as an Independent; free from party political pressure to conform to supporting the continuing inclusion of this catastrophic development in the Local Plan. Standing as an Independent in the Ward he has so faithfully served you for those 12 years, provides him the freedom to continue to speak out on this. WODC recently released extra information for the government inspector in relation to the Local Plan. NWAG have analysed the information in detail and found that it contains many flaws in its assessment, including sustainability, traffic flows, deliverability of the West End Link Road, air quality, and the unviable complexity of delivering North Witney within the timeframe of the Local Plan (by 2031). Furthermore, NWAG believe WODC has shown bias in assessing North Witney versus other residential developments in Witney and the wider district, notably South Witney, which WODC hasn't included in the Local Plan. Click here to read NWAG's submission to the government inspector. The government inspector, Malcolm Rivett, will be examining specific housing sites in the Local Plan on July 11-21. On behalf of local residents including our 1,000+ petition signatories - NWAG will be presenting our compelling case to have the completely unviable North Witney development thrown out of the Local Plan. Why is Cllr Morris quoted in the minutes of a debate at the town council over their submission on the Local Plan on December 14th, as saying ‘The development of North Witney was something that the inspector had asked for’? The inspector did not say this or anything that could be construed as meaning this. Cllr Morris approved the minutes. Why is Cllr Morris actively supporting the North Witney development when he is quoted as saying the following in the Witney Gazette on 8th March ‘Mr Morris added that he thought the town council's submission on the Local Plan, prepared by the chairman of the planning committee, Alan Beames, was not strong enough in its concerns over the North Witney site." Could it be that he is having his arm twisted from higher up in WODC? In the same way that every WODC Conservative Councillor received a phone call before the vote on the Local Plan telling them to approve it. The one Conservative Councillor who actively opposed the Plan - on the grounds that the North Witney development is totally unsound - was fired from his position on WODC planning committee hours before this meeting. This was Richard Langridge, the other WODC councillor for North Witney, who has shown the personal integrity to represent the people who voted him in. A final question. Why are senior Conservative Councillors being so blinkered in their determination to include the North Witney development in their plan when there are such huge issues of flooding, traffic, environment, infrastructure and viability? NWAG, representing over 1,000 local signatories to our petition, are campaigning to have the North Witney development removed from the Local Plan despite WODC's efforts which appear to represent developers' needs rather than those of local people. West Oxfordshire District Council have launched consultation on the revised Local Plan. North Witney is still in the plan and has been upped to 1,400 homes. Despite widespread objection to the development, including conclusive evidence presented by NWAG that it simply doesn't work, and more viable alternative sites being available, it's still included. Residents have until the 23rd December to comment on the plan. 1. The easiest way is to add your comments directly to the online plan. 2. Email or post your comments to WODC. You can choose to use their form which is available online or simply send your comments directly to planning.policy@westoxon.gov.uk or Planning Policy Team, WODC, Elmfield, New Yatt Road, Witney OX28 1PB. The following letter from NWAG was published in the Witney Gazette on the 26th October. This afternoon (Wednesday), our WODC councillors will be asked to vote on continuing the Local Plan along a path which, unless they have the courage and wisdom to do otherwise, could lead to the destruction of the Witney we know and love. When they vote on the Local Plan, our councillors need to remove the remote and flawed north Witney site which their officers now want increased from 1000 to 1400. All on ancient undulating farmland that is entirely in the parish of Hailey and part of the Wychwood Project. Those Conservative councillors in the parish heartlands who believe this is nothing to with them need to think again. For when WODC’s local plan is rejected a second time because the officers persist on including north Witney, they will have opened the door to seeing rapacious developers sniffing greater profits from their lucrative parishes. The West End Link Road has to be built before North Witney is developed. It will not pass a sequential or essential test (the bridge would be in a Zone 3B flood plain and the development is not essential). The cost in 2012 was £18m and the developers’ own Flood Report says that the water levels would rise to up to 1.5 inches. Their Report calls that “negligible”! Both OCC and the the recent Burford Road appeal inspector agree that Shore’s Green is the second river crossing. Through four Freedom of Information requests OCC traffic counts show traffic flows increase in West End by 52.5%, in the Witney Conservation Area by 47.1% and Hailey Road becomes the third busiest road in Witney with traffic tripling in volume. All the water flowing down from the 100m contours has to move through the 0.75m Hailey Drain. To restrain this, they plan to build six reservoirs each the size of Wembley Stadium on land above the development. Does water run up hill? Nothing will be done to address existing flood risks. They are ignoring three WODC commissioned landscape reports 1998, 2007 and 2012 which all say categorically urbanisation between Hailey and Witney should be resisted. Today is the day for WODC councillors to show leadership and take a step back from the brink and replace North Witney with a more suitable site. Despite public and private warnings of the issues above a majority of WODC councillors voted for the flawed Local Plan. We applaud those few councillors who had the integrity to vote against the plan. It will now proceed to public consultation. We thought it would be a worthwhile reminder about just how bad the 2007 flooding in Witney was. The proposed North Witney development raises the prospect of worse flooding. To find out more read the flooding section on our website.